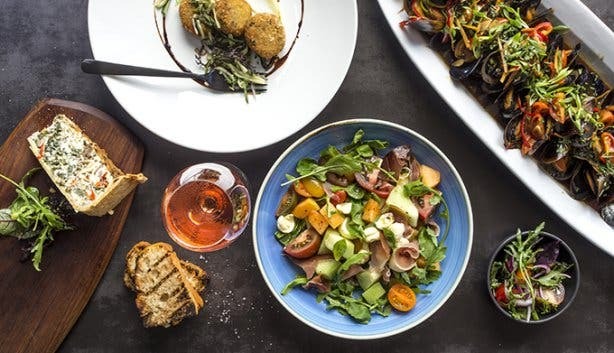 Finding a spot in Cape Town that truly caters for the whole family isn’t always easy. 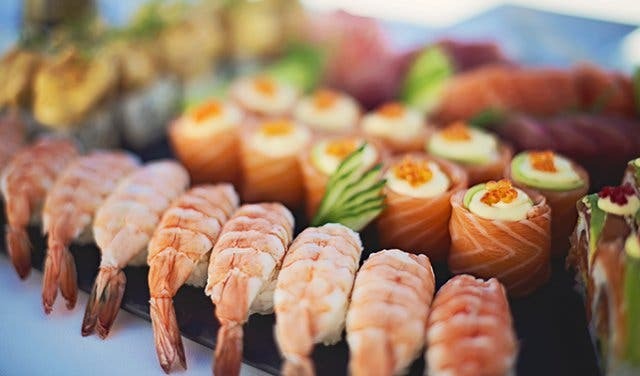 If it isn’t a menu with dishes too complex, it’s simply too fancy for busy little bodies to enjoy. Enter Shimmy Beach Club. The venue that offers everyone a good time – guaranteed. “Shimmy has such a diverse offering,” Digital Content Manager Olivia van den Heever says. It only takes one visit to realise that Olivia is not wrong. 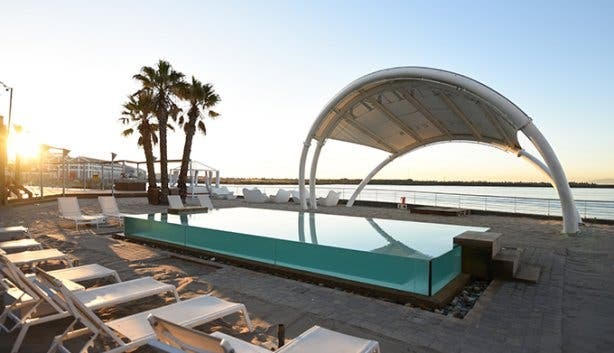 The private man-made beach, two swimming pools (one of which is an infinity pool right at the water’s edge), and jacuzzi make this luxury lifestyle venue ideal for water babies, sun seekers and those simply looking for a good time. The perfect playground for children, Shimmy has a designated kids area. You needn’t have to leave your little ones at home because they will be taken care of. With a jungle gym, ball pit, and an arts and crafts station, all captained by professional child minders, they will be more than taken care of – they will be entertained to the max. When the little ones have worked up an appetite they can tuck into one of the dishes on the specially curated kids menu. “We are willing to do whatever it takes to keep our guests happy,” Olivia promises. 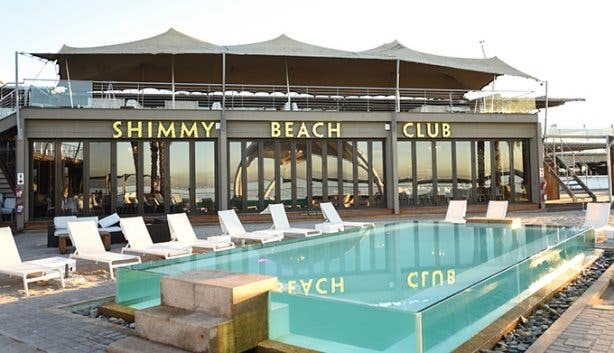 Shimmy Beach Club boasts an array of entertainment for both locals and tourists to enjoy, setting them apart as a seaside venue of distinction. “There aren’t very many places in Cape Town where you can find such a diverse crowd,” Olivia says. 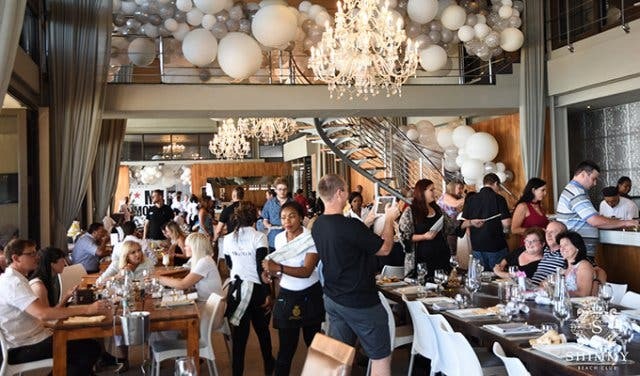 Then there’s the multiple dancefloors, bars and DJ stages where some epic parties go down (keep an eye on their exciting events calendar for the details), but that’s more for the adults of course! 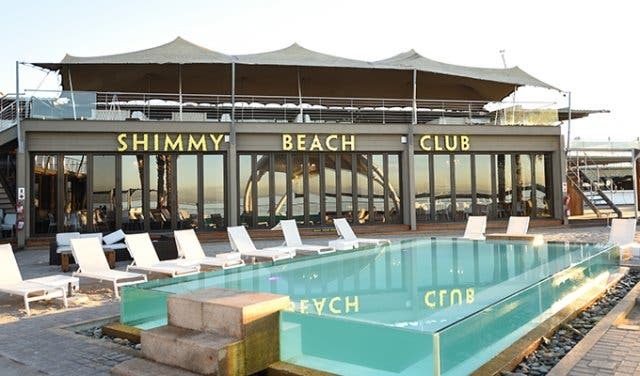 Shimmy Beach Club sounds like it can’t get any better, but it can and it does. Shimmy’s extensive menu serves everything from sushi and samosas to pizza and vegan penne, so foodies are definitely taken care of too. 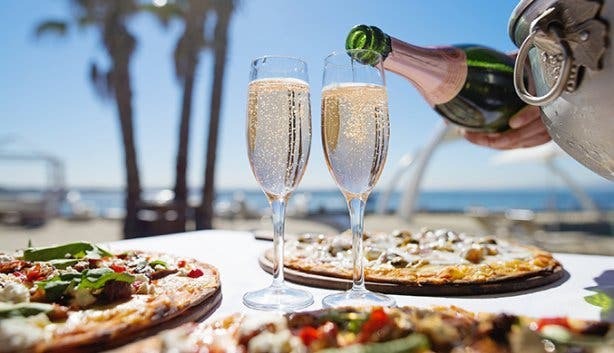 The cocktail, champagne and wine menu, paired with the uninterrupted panorama of the Atlantic Ocean, also makes Shimmy the ideal place to watch the sun sink below the horizon. Shimmy Beach Club is the ideal spot for a power lunch, settling in for sundowners with friends, lounging through a lazy lunch with the family, or for enjoying canapes and cocktails with colleagues. 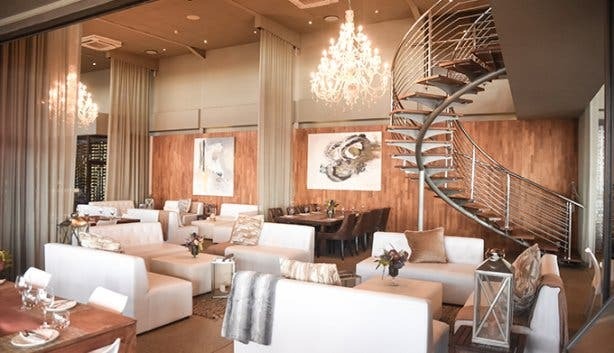 In a nutshell, Shimmy offers the laid-back yet sophisticated space and service you need. 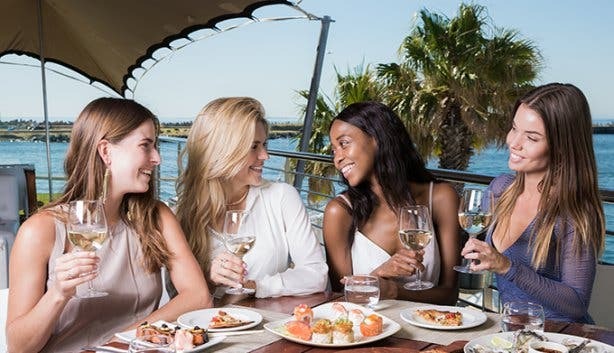 Reserve a table by calling +27 (0)21 200 7778 or making a reservation on their website. Tip: Come to Shimmy once and you’ll want to host your birthday, bachelor(ette), Christmas and company functions there. The high-end locale has a number of venues that you can rent for intimate (20 people) or not-so-intimate (2500 people) events. NOTE: Shimmy has a designated kids area that comes with a jungle gym, ball pit, and arts and crafts station. This is all supervised by professional child minders. When the little ones have worked up an appetite they can tuck into one of the delicious dishes on the kids menu.